NOTE: This quarry complex is located in Springfield, adjacent to the corporate limits of the city of Summit. 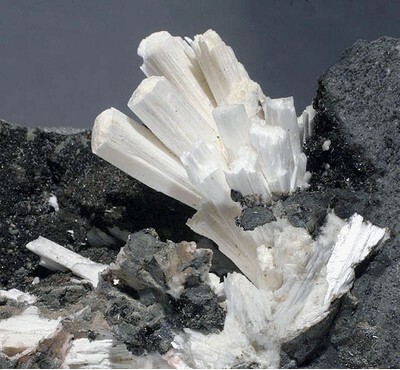 It is historically referred to as being in Summit (Summit Quarry). 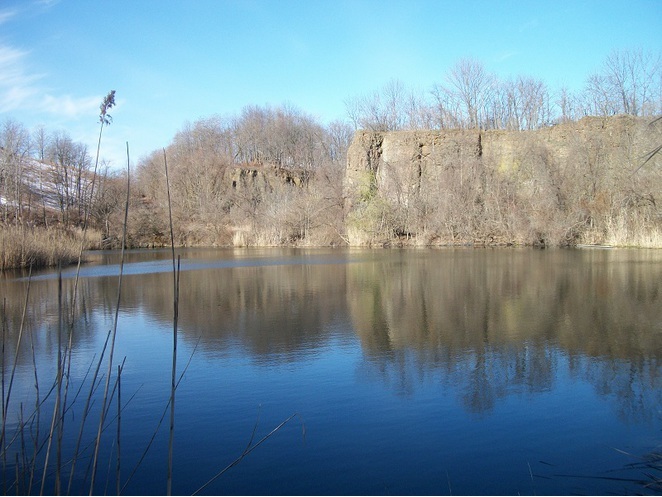 This quarry in the Orange Mountain (First Watchung) basalt began operating in the early 1900's under the ownership of Louis Keller. 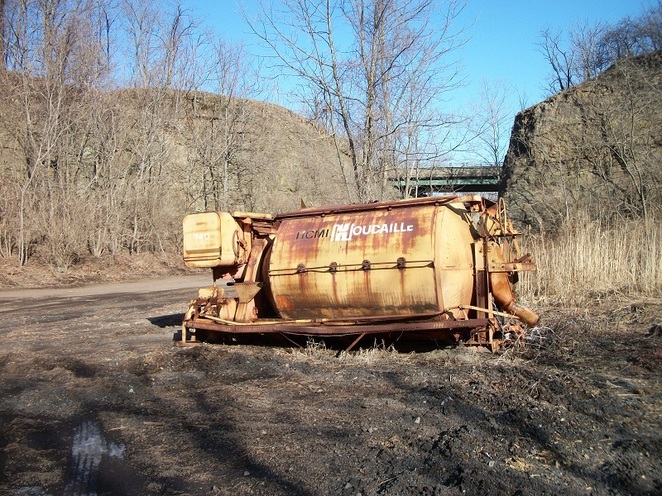 Originally named The Commonwealth Quarry, it was later obtained by the North Jersey Quarry Company. 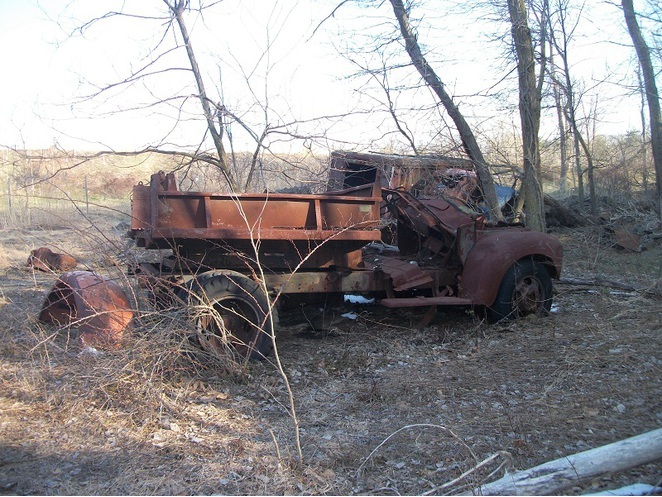 In the 1950's, the Houdaille Construction Materials Company purchased the quarry and ran it until 1977. In the early 1970's, the Interstate-78 road cut was excavated immediately adjacent to the pit, and across the access road between the quarry and the plant. The access road was in a cut. A bridge was constructed over this cut to accommodate I-78 while keeping the quarry functioning. However, the quarry closed only 2 or 3 years later in the aftermath of the 1973 oil embargo and the resulting increase in fuel and asphalt prices. 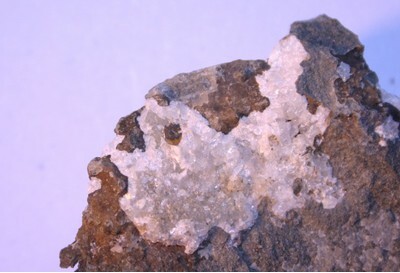 Quarry mineralization was found in seams, and in gas cavities of the two exposed amygdaloids. 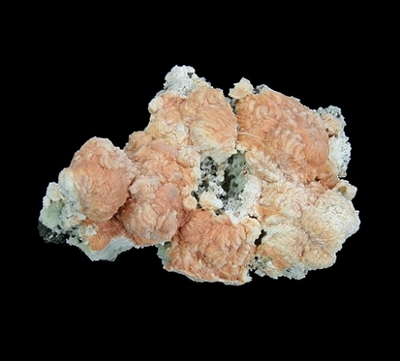 Most mineral specimens were collected from the upper amygdaloid. This horizon was exposed for the entire length of the main pit and also during the construction of I-78. The lower amygdaloid was exposed in a test pit near the northern end of the main quarry. It was exposed more extensively in a secondary pit mined near the southern end of the quarry during the last year or two of operation. Most of the pit was filled with earth and rock debris removed from other sections of the interstate project. The entire 170 acre site is now owned by the Union County Parks Department. 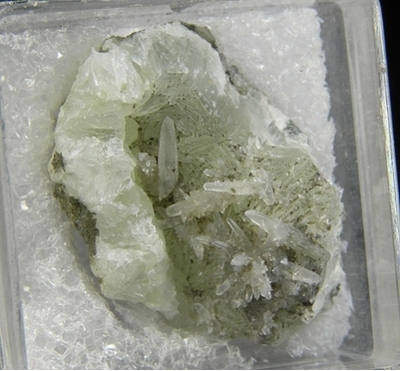 The Summit Quarry is most noted for crystals of greenockite. 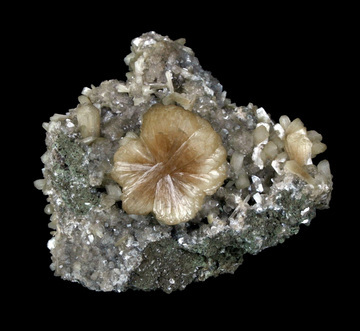 It was probably the most prolific of the several localities for this mineral in the region. 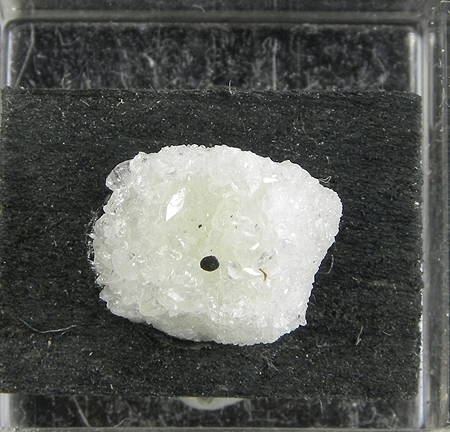 Greenockite occurred in a thin, conformable zone called “the sulphide horizon” by Cummings (1987). This zone was near the top of “zone 4” of Cummings (1987), in dark, fresh appearing basalt just beneath where visible alteration ended. 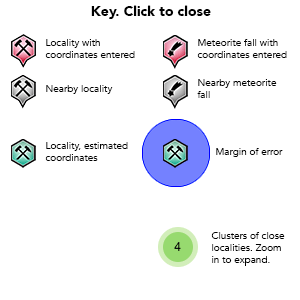 The horizon probably marks a redox boundary, a chemical front that moved progressively downward from the more permeable flow top scoria to the less permeable flow interior. It should be noted that a very similar, greenockite-bearing sulphide horizon occurs in the Prospect Park Quarry. The zone is also present at the Fanwood Quarry where it contained galena but not greenockite. 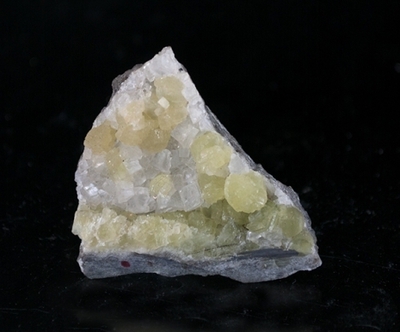 Within the sulphide horizon greenockite crystals were found on prehnite or datolite often associated with calcite. 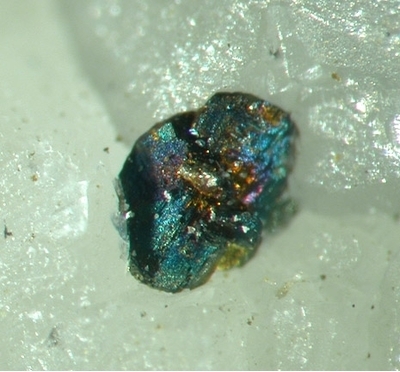 Small crystals of chalcopyrite were common in this material and crystals of galena were not rare. Reference: Rocks & Min. : 62: 150-159. Reference: Rocks & Min. : 42: 483-486. 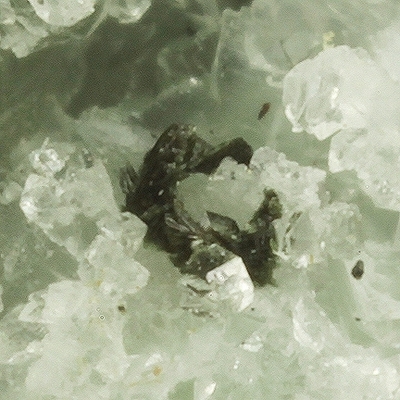 Description: (Olsen, 1980) - Dark-greenish-gray to greenish-black basalt composed mostly of calcic plagioclase (typically An65) and clinopyroxene (augite and pigeonite); crystals are generally less than 1 mm (0.04 in) long. Consists of three major flows. The flows are separated in places by a weathered zone or by a thin, up to 3-m- (10-ft-) thick bed of red siltstone (not shown on map) or volcaniclastic rock. Lowest flow is generally massive and has widely spaced curvilinear joints; columnar joints in lowest flow become more common toward the northeast. Middle flow is massive or has columnar jointing. Lower part of the uppermost flow has pillow structures; upper part has pahoehoe flow structures. Tops and bottoms of flow layers are vesicular. Maximum thickness is about 182 m (597 ft). Manchester, J.G. (1931) The Minerals of New York City and Its Environs. 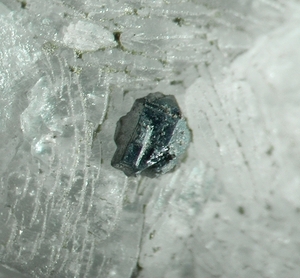 A Bulletin of the New York Mineralogical Club: 3: 95. 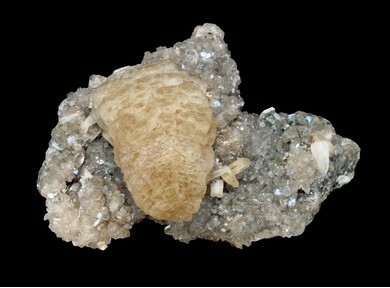 Mason, Brian (1960), Trap Rock Minerals of New Jersey. New Jersey Geological Survey: 64: 9. Rocks & Minerals (1967): 42: 483-486. Cummings, W. (1987), Mineralization at the Fanwood & Summit Quarries, New Jersey. Rocks & Minerals: 62: 150-159.